Bloomsbury USA Childrens, 9781599908298, 240pp. Half Vietnamese, half American, Tracy's not sure she fits in with her family in California. 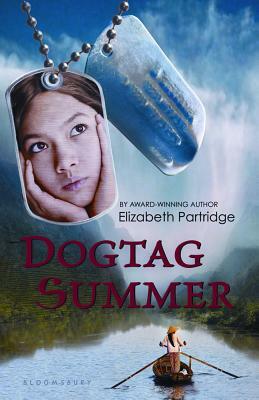 But when she and her best friend find a soldier's dogtag, she is jarred by memories from her life in Vietnam, and the lingering anti-war sentiments that surround her today. Where is home when you're a child of war? Is it the country that's buried deep within your memories? Or is it the place you live, among the people you call family? ELIZABETH PARTRIDGE is the author of several award-winning books for young readers, including Marching to Freedom, This Land Was Made for You and Me, and John Lennon: All I Want Is the Truth. Elizabeth lives in California.